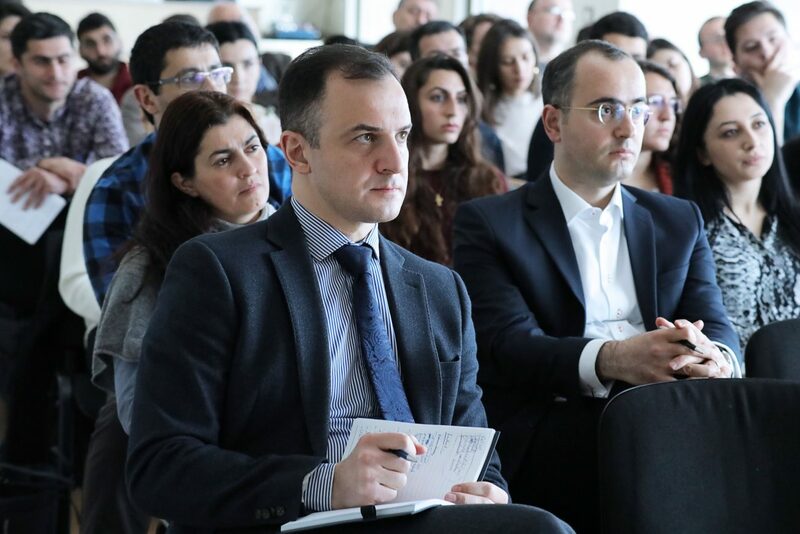 YEREVAN, Armenia – On March 13, the American University of Armenia (AUA) Political Science and International Affairs (PSIA) program welcomed Dr. Arsen Gasparyan, Senior Advisor to the Prime Minister of the Republic of Armenia. This is the third PSIA seminar in the 2019 Spring semester. 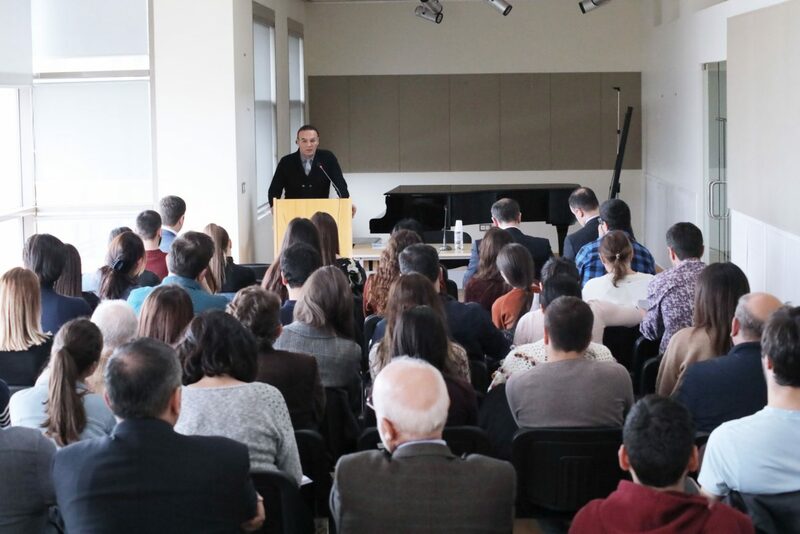 The seminar was dedicated to Understanding the Nagorno-Karabakh Conflict: Domestic Politics and Twenty-Five Years of Fruitless Negotiations. Dr. Gasparyan presented the topic first depicting the ceasefire of 12 May of 1994 reached between Armenia, Azerbaijan and Nagorno-Karabakh through Russian mediation. The speaker then asserted that though negotiations on the Nagorno-Karabakh conflict have been continuing for more than two decades, a settlement still remains elusive. He discussed several hypotheses popular in Armenia and Artsakh, including Azerbaijan’s “commitment problem,” explaining that any withdrawal would strengthen Azerbaijan and weaken Armenia and Nagorno-Karabakh. 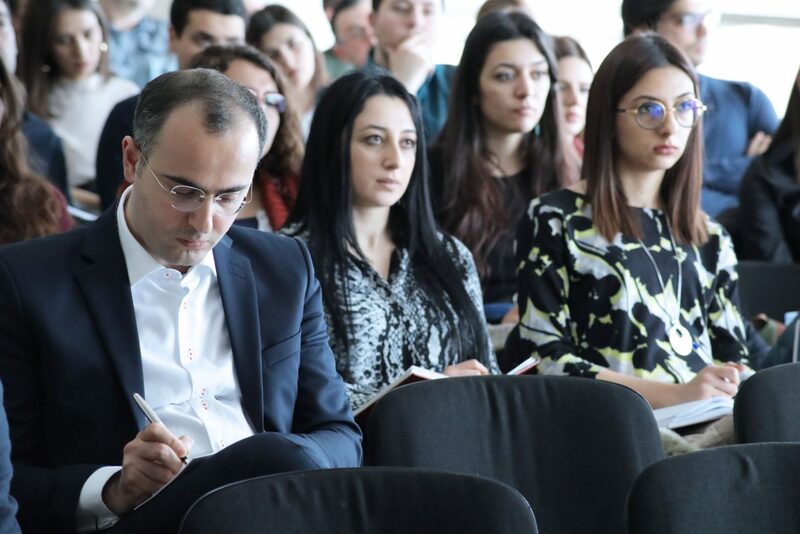 During the seminar, Dr. Gasparyan qualified the Four-Day April War in 2016 as the worst eruption of hostilities by Azerbaijan since the ceasefire agreement of 1994. 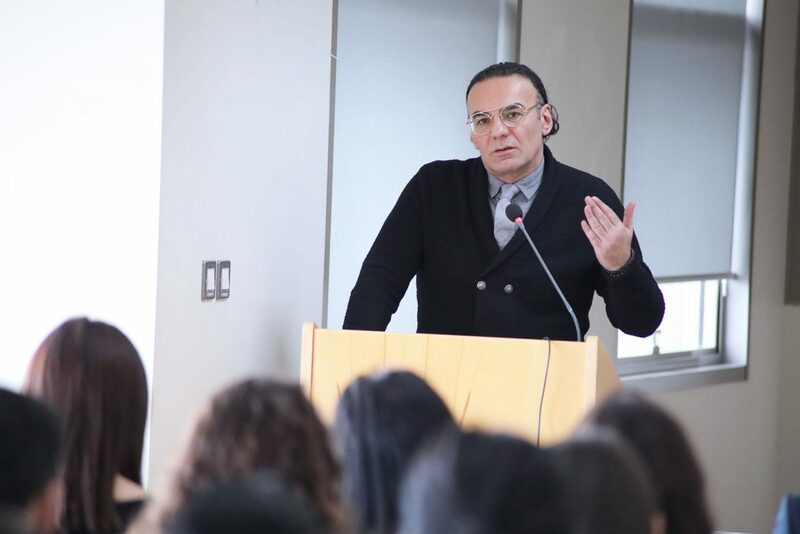 The lecturer explored the reasons for the failure of the peace process till the political transformation of Armenia in May 2018, arguing that the real obstacles to a peaceful settlement of the Nagorno-Karabakh conflict lied within the domestic politics of the parties involved. He asserted that the key issues of this conflict are the status and security of Nagorno-Karabakh. Through discussion, elucidation, and consideration of alternative perspectives, the seminar sought to advance understanding of the underlying causes of the failure of the process led by the OSCE Minsk group. 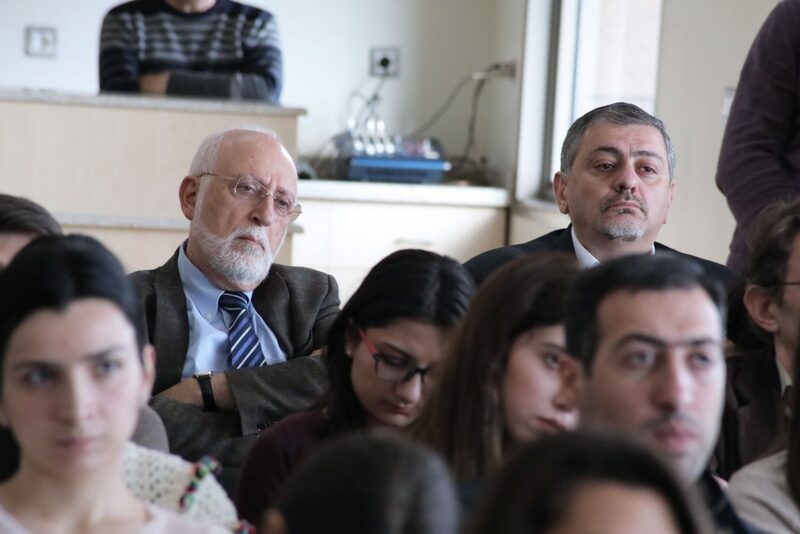 The presentation was followed by a Q&A session, during which the audience had the opportunity to delve deeper into the topic of the Nagorno-Karabakh conflict and its peaceful settlement.